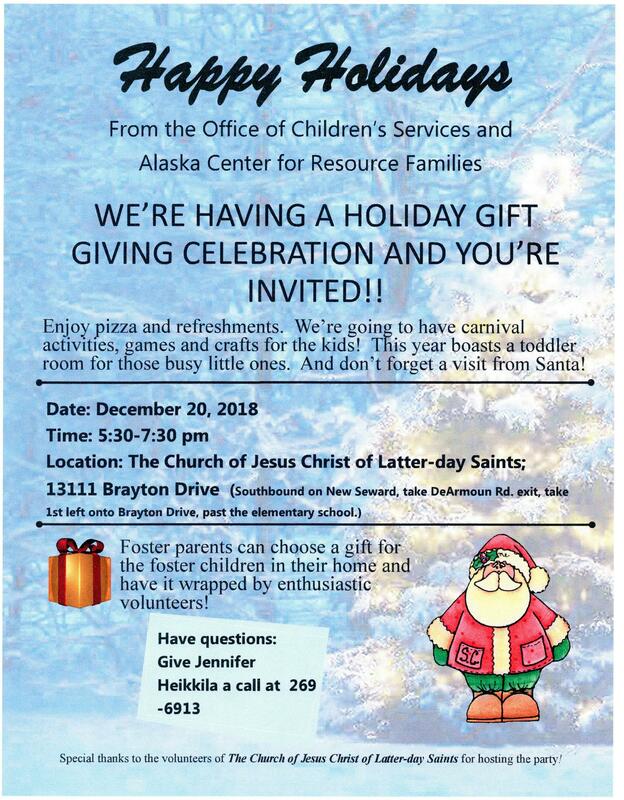 Here's a fun and 'hands-on' opportunity for Rotarians to participate in a special holiday season event for foster children and foster parents in the Anchorage area. The event, as described in the attached flyer, has been created on Rotary Cares for Kids Alaska & Yukon Facebook page. Like the page and get updates on the event, Our participation is a great way to show Rotary Cares for Kids! Please be there at 5 pm. Volunteers are needed to help Santa with photos, wrapping presents, serving food, and hanging out with the children while their foster parents are "shopping for gifts". If you are unable to attend and would like to donate a gift, please chose one that has a value of approximately $25. Gift Cards at Wal- Mart, Target, Kohl's, Barnes and Nobel and ITunes are popular as are lap blankets, Bath and Body Works items and popular teen books and movies. Gifts can be delivered to any Alaska Club in Anchorage.